Are You Making These Winter Skin Mistakes? Winter might have you ready to pucker up under the mistletoe, but it can also easily lead to dry, irritated winter skin and chapped lips. Don’t fret! Here are the most common skincare mistakes even the most diligent of us make during the winter—and how to avoid them. Don’t let cloudy days fool you—UV rays are still around contributing to visible signs of skin aging. So, if youthful-looking skin is important to you, keep up your SPF routine this winter. Try PREVENTION+ Daily Hydrating Moisturizer SPF 30+, a mineral sunscreen perfect for sensitive skin. Zinc oxide physically blocks harmful UVA rays while aloe vera leaf juice and glycerin keep your skin hydrated. Also, because mineral sunscreens are not absorbed into your skin, this sunscreen is perfect for those with sensitive skin. Just apply to cleansed skin every morning as you would a daily moisturizer. Make sure to reapply every two hours if you plan on being out and about! Cold, dry air calls for a thicker, richer creme in place of your light summer moisturizer. To really understand why you need to switch to a richer creme for winter, you’ll need to know the difference between the two. Both are a blend of oil, water, waxes, skin conditioners and hydrating ingredients. However, because cremes are usually about a 50/50 blend of oil and water, they are thicker than a moisturizing lotion and this is what makes them perfect for winter. Hyaluronic acid is also a popular addition to most cremes — and rightly so as it holds up to a thousand times its weight in water, earning it the distinction as the gold standard for hydrating. Cremes can therefore both hydrate and moisturize, which is something to think about as the cold weather settles in, especially if you have normal to dry skin. VITAL C Hydrating Repair Creme is rich and soothing. For an extra layer of protection, it’s formulated with ceramides which help to prevent the evaporation of moisture by forming a protective barrier on the skin. Of course, there’s hyaluronic acid which attract whatever humidity is in the air while retaining all the water in your skin. Although winters can be cozy, don’t let yourself get too comfortable and begin neglecting your anti-aging regimen. It’s important to keep up your routine—and AGELESS Total Pure Hyaluronic Filler is the way to go. The gold standard of hydration, hyaluronic acid holds up to a thousand times its weight in water. This unique topical filler has six different forms of lower and higher molecular weight hyaluronic acids. Why so many? With this special combination of weights, the serum is able to hydrate all the layers of your skin. Secondly, hyaluronic acid is actually what fillers are made of. When hyaluronic acid absorbs water, it swells up. If the molecules settle in the fine lines and wrinkles of your skin, when they swell, there is a noticeable smoothing effect. Larger molecular weight forms of hyaluronic acid sit neatly in your fine lines and wrinkles, binding to water molecules and cross-linking with another for a visibly smoother appearance. Exfoliation is always important, especially during winter, to slough off dead skin cells that are lackluster and hide your glow. For a more gentle exfoliation, try looking for products with alpha hydroxy acids (AHAs) or beta hydroxy acids (BHAs). These acids can gently loosen the bonds which dead skin cells use to cling on while minimizing irritation caused by mechanical scrubbing. BHAs are oil-soluble and can clean pores, while AHAs work on the surface of skin. A combination of the two is perfect for an all around cleanse. Our CLEAR CELL Salicylic Clarifying Pads feature the super duo in convenient to-go pads. During the winter months, colder and drier weather means you’ll need to bump up both your hydration and moisturization levels. Without the humidity in the air, skin can become dehydrated very easily. 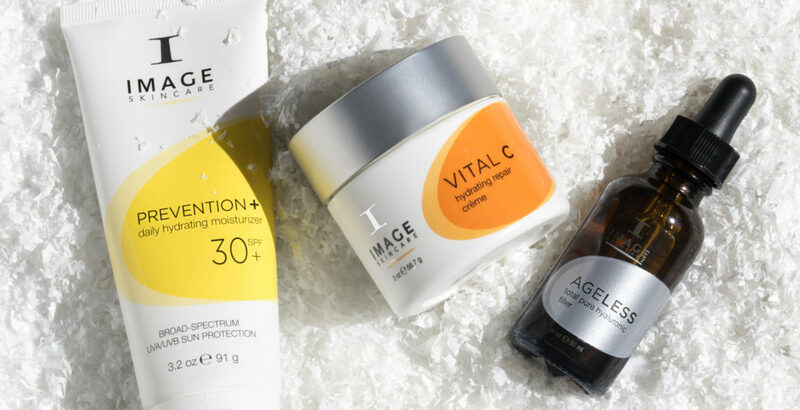 Because you deserve a little extra care, there’s VITAL C Hydrating Overnight Masque. This overnight treatment has a triple mineral complex that energizes the skin while you sleep for a revitalized look when your day begins.